She doesn’t just play, she kills it. Talented rock guitarist Beth Collins has been barely holding herself together for months, ever since her boyfriend and bandmate became the latest victim in a string of suspicious disappearances. When her brother is injured an accident and she sees something dark billowing around him as he hovers close to death, she’s convinced her sanity is collapsing for good. Then she's accepted by a boarding school for the musically gifted. All of her new friends are bursting with talent, but they're also keeping secrets. Can she trust Vincent, who's so sweet that his very touch makes her fears melt away? Or Xavier, who's trying to tell her something but is hiding even more? And will anyone be safe when her true Talent comes out? Until Beth started out strong, very engaging and fast-paced, but it turned frustrating and extremely confusing. Beth is grieving over the loss of her bandmate/boyfriend, as well as trying to figure out why children have been coming up missing in her small town. On the same night a scout from a prominent school shows interest in her, her brother's friend tries to assault her, and the brother and his friend are in an accident. This all happens so very quickly in the first chapter, setting up the beyond confusing events of the entire book. I enjoyed the characterization, the story itself, and the inventiveness of the Talents. In a way, it reminded me of Xavier's school for Gifted Youngsters (Marvel's X-men). In fact, a main character is named Xavier. But this all fell short with the execution of the storytelling. To me, it felt as if it was written as if the reader should know/understand what was going on because the author knew. There were huge plot holes that were never resolved, or just remembered near the end and quickly explained in a way that was out of place in the current scene. Beth was 100% clueless (not clueless TSTL girl, but clueless to her predicament) from page one to the end as a way to keep the reader just as clueless, and this led to a very frustrating reading experience. After finishing it, I don't feel as if I know anything about the Talent system, because Beth didn't. It felt as if the author was making it up as they wrote the novel, and failed to go back and fill in the holes in the beginning. As a writer myself, I feel it evolved into something that wasn't the intention from the start. Like the initial idea was a Young Adult mystery surrounding music, but changed to paranormal. In hopes of feeling Young Adult, the usual dances, crushes, and kissing were injected. But often at extremely odd times. Beth would be a dead girl walking, a minute later her girlfriend would shoo Vincent away, they'd giggle, and get ready for a dance. (No sleep, no food, no shower after crawling out of a labyrinth & nearly dying?) The amount of times that Beth kissed Vincent after thinking of Sam was beyond bizarre, right down to the final paragraph of the book itself. "Let's go find Sam!" ... we kissed and didn't come up for air for a very long time. The author was pushing to create a quadrangle between Beth, the missing Sam, Vincent, and Xavier. Vincent doesn't fit in the angle whatsoever, but he's the one Beth's always reluctantly macking on. Bizarre. Will adult readers enjoy this book? Probably. There is mystery because it's meant to be a mystery, and then there is a mystery because of the execution of a storyline completely leaving out necessary information in a timely manner. It's enjoyable for an adult if they read as quickly as possible so they don't realize a lot is getting skipped. I basically just read the book, because it flowed from A to D with the reader just guessing how the author arrived at D, filling in B & C for themselves or not at all; and no, B & C were never explained. Will Young Adult readers like this book? Most certainly. There is mystery to keep them interested. Action and paranormal elements. Characters who have crushes on one another (this is a bit forced from an adult POV). Will I read the next in the series? I'm on the fence, as I did enjoy the story that was trying to be told, and I'm curious to see if the author's storytelling abilities improve, but I feel a bit let down after such a strong start devolved into an oddly paced book with a Talent system that was never fully developed nor explained. Age range: 14+ due to mild violence, grief, sexual contact is only kissing except for an interrupted assault. Lisa Amowitz is an artist and graphic designer by trade, but writing has always been a deep and abiding passion. As a mom of an actual teen, she's not just writing YA; she's living it. 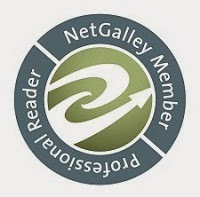 Lisa is a member of Enchanted Inkpot, a YA fantasy blog. 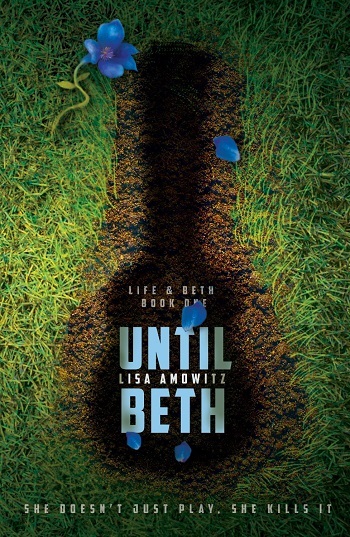 Reviewers on the Wicked Reads Review Team were provided a free copy of Until Beth (Life & Beth #1) by Lisa Amowitz to read and review.